This article was originally published on Fairfield County Moms Blog. If your baby or toddler has disrupted sleep you may be tempted to blame teething – and you may be right. There’s no question that for some babies, teething involves discomfort. But studies suggest that teething may not be the huge sleep wrecker that parents assume it to be – and that many of the common symptoms that parents blame on teething may actually have nothing to do with those emerging pearly whites. Here’s how to determine if teething is the real culprit, or if there are other causes for your baby’s sleepless nights. 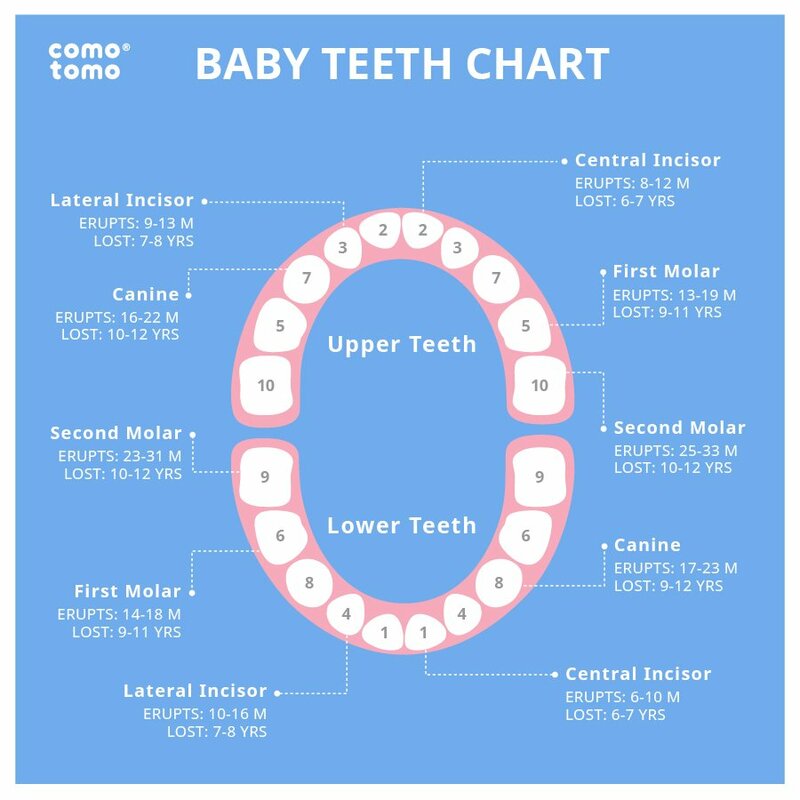 Most babies begin teething between four and eight months of age, but order and timing are variable. Genetics and gender play a role in teething – early teething parents tend to have early teething children, and girls tend to teethe earlier than boys. Teeth usually emerge in pairs on the left and right side of the mouth, starting with the two bottom front teeth and proceeding from front to back, alternating between lower and upper jaws. Most children get four new teeth every four months and have all 20 of their baby teeth – 10 on top and 10 on the bottom – by the time they’re 2 ½ to 3 years of age. There’s a common misconception that teeth actually “cut” through the gums as they emerge, but teeth don’t pierce or puncture the flesh at all. Gums actually move out of the way and create a pathway for new teeth as they push up – which is why there’s no bleeding. Studies on teething have yet to find a causal relationship between any specific cluster of symptoms and the emergence of teeth. Symptoms like drooling, gum rubbing, fussiness, decreased appetite for solids, mild temperature increases and wakefulness can sometimes be associated with the eruption of teeth but congestion, high fever, loose stools, cough, body rashes and decreased interest in liquids are not. Studies do suggest that teething related symptoms, if they are truly related to an emerging tooth will only appear for a few days prior to the tooth’s eruption, and for a few days afterwards. That means that if your child has symptoms for more than a few days and a tooth doesn’t appear it’s unlikely that teething is the problem. If your child is clearly bothered by teething, of course you’ll want to do whatever it takes to comfort them and help them to get the rest they need. Offer cool teething rings and avoid choking hazards like frozen bagels and teething necklaces. Check with your pediatrician before giving your child over the counter pain medications, and call them if your child develops a fever or exhibits other symptoms of illness that could be unrelated to the teething. If you’re not sure, start by assessing their daytime behavior. If your baby is behaving normally during the day, even if they’re drooling like a faucet or chewing everything in sight, it’s unlikely that teething is suddenly an issue at night. If you need more convincing look for red, swollen gums or the tip of a tooth. If you don’t see anything but are still not convinced, use the pick up test. If your child stops crying the second you lift them out of the crib they’re probably not in discomfort or pain. Looking for changes in sleep patterns can also help you determine if teething is to blame for your child’s wake ups. Discomfort and pain causes wake ups at unusual times. Think about your child’s typical sleep patterns and compare them to what’s going on now. Does your child typically sleep for three hours at a stretch but is suddenly waking up every 20 minutes? If so, teething may be disrupting their sleep. If, on the other hand, your child has ingrained sleep associations like rocking or nursing to sleep and is waking up at the same predictable times or the same time frames (for example, every 60 to 90 minutes) you may be blaming teething when it’s actually the sleep association that’s waking them up. If the disruption lasts for more than three or four days you can bet that that’s the case, and you may want to work on gently teaching your child learn how to put themselves to sleep and back to sleep without your help. Alison Bevan is a Baby and Child Sleep Consultant that has helped thousands of families get a good night’s sleep. She is a Certified Gentle Sleep Coach SM, founder of Sleepytime Coach and the Pediatric Sleep Consultant at The Center For Advanced Pediatrics, one of the largest and most comprehensive pediatric practices in the tri-state area. 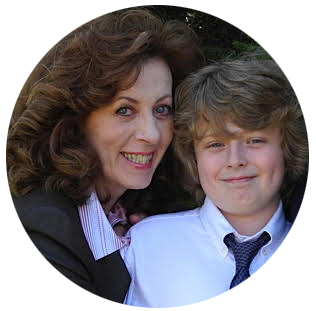 She is also a mother that has lived through the challenges of having a child with sleep problems.